The True “Good News”— There is No Darkness in God! Traditional Christian theology is turned upside-down by the light-giving “good news” that its presentation of a sin-avenging God of retributive justice is wrong. Our God of light is a loving Father! The title of this book warrants further explanation. As alluded to in the Introduction, these selections have been transformatively influential in my life of growth as a Christian. It is not too much to say that they form the foundation (along with George MacDonald’s equally powerful novels) for what has amounted over nearly fifty years to a wholesale redefining of the parameters and perspectives of my faith. Nearly everything in my belief system has ultimately come under the light of MacDonald’s probing scrutiny, there to be re-fashioned, re-structured, re-oriented in the dazzling light of an infinitely loving and forgiving Fatherhood. It is through MacDonald’s vision of that Fatherhood that my walk with God (its doctrines, theology, relationships, the central importance of obedience, my worldview, my perspectives of God’s eternal purposes, my outlook on the afterlife, my convictions of what comprises growth and maturity, my goals in life, my observations about the church…everything) has been given eternally focused meaning and perspective. As mentioned before, much in MacDonald’s other writing has challenged me as well. But these twenty sermons strike at the core of all I am as a Christian man. They have changed my outlook of what being a Christian means. They represent, in a sense (though not chronologically) a major portion of my spiritual autobiography. My personal study of (and wrestling with) the ideas represented here has laid down a pathway out of many incomplete beliefs, doctrines, and perspectives that surrounded me as a youth fifty years ago—a youth who had grown up (and happily so) in the evangelicalism of the 1950s— leading to where I am today. These twenty sermons represent major signposts along the way…lanterns that lit my steps in occasional doctrinal darkness…arrows pointing through overgrown thickets of traditional orthodoxy that often threatened to overwhelm me when I could see no path beneath my feet at all…as well as occasional mountaintop Ebenezers of victory when a difficult theological summit had been conquered. (The day remains vivid when I came home from a run and announced excitedly to my wife Judy, “I think I have just figured out the atonement!”) These were not the only such signposts, but they were a significant part of the journey. Obviously everyone who reads an influential author, will respond and be likewise changed by different things. Yet I have met and spoken with and corresponded with enough people through the years to realize that my story is not unique. MacDonald has led thousands along similar paths. It is a path he took himself in unraveling the dichotomies of the Calvinism of his own upbringing. So there exists a universality in MacDonald’s pilgrimage, and in mine, and in yours. Many of us are on the same quest that dominated MacDonald’s life—to discover the character of God and to know the heart of God. Therefore, I believe that the import of these sermons and the ideas and perspectives contained in them transcends my own experience, or yours, or even MacDonald’s. They are universally transformative. They will one day, I hope and pray, transform the entire theological perspective of Christendom. That is perhaps too much to hope for. As MacDonald knew only too well, there will always be those who intellectualize and analyze even the most profound truths. In MacDonald’s day as in our own there were multitudes who study and revere even MacDonald himself with the intellect and imagination, but never really know his heart. And so it will probably always be. Perhaps the transformation of Christian theology that MacDonald brings will forever be apprehended by the few not the many, not even by the many who consider themselves the most devoted MacDonald loyalists. Sadly, a misdirected intellectualism infects the Lewis and MacDonald intelligentsia just as it does the church at large. This first selection sets the tone for what follows. MacDonald strikes at the core of the Christian faith: What is the true gospel? If we don’t know this, we can be no Christians at all. The imperative question that MacDonald raises, therefore is simply: “Do we know it truly and accurately?” Or have we been steeped in the doctrinal traditions of the elders too long to know what the good news is? 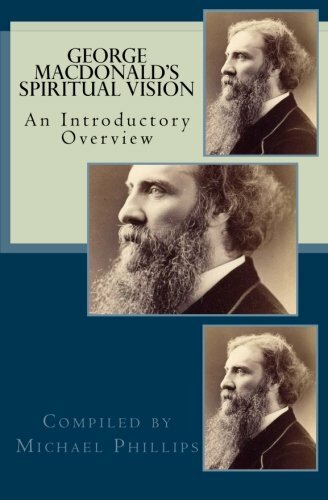 In many of his writings George MacDonald ploughs new spiritual ground. In others he ploughs old ground that he might plant new seeds. To plough old ground—hardened, perhaps frozen, unproductive, compacted from years and prevented from being penetrated by light—requires a sharp blade. Hard theologies as well as fallow fields need occasionally to be upturned and exposed to the light. When the time for such upturning comes, the prophet holding the plough must courageously prepare for his steel to bite deep. Only so can the broken earth be softened to receive the warmth of the sun. George MacDonald’s plough was his pen. Along with it he brought to his aid a prophetic spiritual vision capable of apprehending God’s eternal purpose. 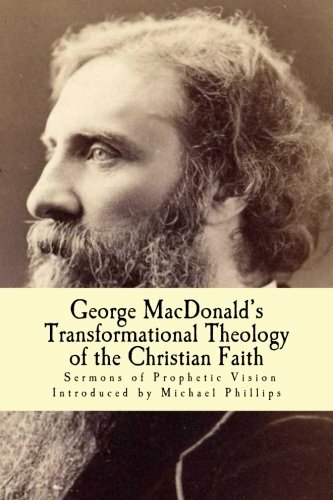 MacDonald possessed a remarkable gift of communication. While exposing falsehood, he never allowed himself to be acrid for long. Once the furrow for the planting of new seeds had been sliced through the hard-packed earth of orthodoxy and tradition, MacDonald then bid his readers look to the sky with eyes and hearts open, there to receive the warmth of God’s light that would grow those seeds into trees of truth. At that point his imagination took over, giving wing to the intellectual foundations he had established. He did not attempt to define exactly in what form the light, the warmth, the breezes, the drifting clouds, and the blue of the heavens should speak their secrets. He recognized that God’s “light” will break in upon the soil of each man’s or woman’s heart personally to produce individually unique fruitfulness. Most theological writings, and especially what might be called “studies” of Scripture are normally carried out with spiritual microscopes, shrinking and defining, categorizing and scrutinizing. George MacDonald instead places an imaginative telescope in our hands, then points above, that we might gaze into the distant heavens and there discover wonders about God and his ways unseen by the naked eye. His attack against what he considers a false theology of the gospel is surely equal in passion to the Lord’s stinging indictment of first century Pharisaism. To believe such things, we should have to imagine possibilities worse than any evil from which their “good news” might offer us deliverance. We would first have to believe in an unjust God from whom we have to seek refuge. True, he is called “just” by those holding to such theologies. But at the same time they say he does that which seems to the best in me the essence of injustice. George MacDonald’s single greatest outcry against false teaching is easily identified: It is that so many of those who call themselves Christians—especially pastors, teachers, priests, and theologians—are content to believe of God that which, if they were said of any human being, would be uniformly set down as atrocities and cruelties unimaginable. Elsewhere he calls it a “duplicity in the church,” this illogical blindness willing to attribute to God the most unloving, unjust, unmerciful, and illogical methods, and then, because “his ways are higher than our ways,” to insist that those methods are founded in forgiveness, justice, mercy, and love. MacDonald saw in such reasoning not mere falsehood and shallow thinking by Christians, but self-righteousness most foul, a contentment for God to act the part of an ogre who will condemn and torment souls of his own creation…if only they themselves are standing well away from the fiery pit. It may be “good news” to such as are content to have a God capable of unrighteousness, if only he be on their side! From belief in such a God, MacDonald recoiled in horror. Turning from these images, he succinctly affirms what true gospel is: Jesus’ “good news” about his Father is simply that he is no tyrant of men’s fancies, but a loving, tender, and forgiving Father…that he is entirely light, with no darkness in him at all. It is the news Jesus brought concerning the Father…that God is light, and in him is no darkness at all. Ah, my heart, this is indeed the good news! This is a gospel! If God be light, what more, what else can I seek than God, than God himself! Away with your doctrines! Away with your salvation from the “justice” of a God whom it is a horror to imagine! Away with your iron cages of false metaphysics! I am saved—for God is light! As he continues, MacDonald addresses a timely difficulty, amazingly relevant to our day as it obviously was to his. What does one say to those trapped by years of allegiances to what he calls the contorted theologies of men, the traditions of the elders, doctrines that offer dreadful explanations of God’s justice and love? How does one respond to those afraid to venture beyond the confines of such theologies, to those who consider it “dangerous doctrine” to be told that God is entirely and only full of light? How does one answer those who are afraid of too much light, too much goodness, too much love attributed to the Father of Jesus Christ? If it is an honest fear, MacDonald says it will pass. Darkness will always give way to light in the end. If it is a fear based on love of untruth about God, then it reveals untruth in the soul of him or who holds by it. To persist in clinging to untruth is to set oneself contrary to God’s purpose. In a word, there is…no loveliness, nothing that makes man dear to his brother man, that is not also in God, only it is infinitely better in God. He is God our saviour. Jesus is our saviour because God is our saviour. He is the God of comfort and consolation. He will soothe and satisfy his children better than any mother her infant. The only thing he will not give them is—permission to stay in the dark…He gives what his child needs—often by refusing what he asks…. Above all things believe in the light. I have wondered if this sermon might originally have ended with the words, Ye will not come unto me that you might have life! What follows resembles a “coda” or “epilogue”—a brief essay on what is called the blasphemy against the Holy Spirit. The ideas presented about “blasphemy” against the Holy Spirit, and the three forms of punishment, are intriguing. Yet we might have preferred a separate essay on these additional important topics, especially in that the general theme of “light” does not feel satisfactorily concluded. Nevertheless, this is how the sermon comes to us from MacDonald’s pen. Taking what we have before us, then, we here discover a brilliant stroke of scriptural illumination concerning the passage that has troubled so many, that of the so-called “unforgiveable sin” against the Holy Spirit. MacDonald says that the unforgiveness is not a permanent judgment, but instead represents a state or a condition, and as such, that condition is subject to change. The unforgiveness lasts as long, and only as long, as the condition of choosing sin remains (MacDonald will develop this idea in greater detail in Chapter 19, “It Shall Not Be Forgiven.” See also “The Great Sin” in Leben 7, 2005, for my own extensive word study on this important passage). “I thank thee, Lord, for forgiving me,” some say, “but I prefer staying in the darkness. Forgive me that too.” “No,” replies God, “that I cannot do. That is the one thing that cannot be forgiven—the sin of…refusing deliverance. It is impossible to forgive that sin. It would be to take part in it…The thing that is past I pass. But he who goes on doing the same, annihilates this my forgiveness…Let a man have committed any sin whatever, I forgive him. But to choose to go on sinning—how can I forgive that?”… God passes by all he can. He passes by and forgets a thousand sins, yea, tens of thousands, forgiving them all—only we must begin to be good, begin to do evil no more. 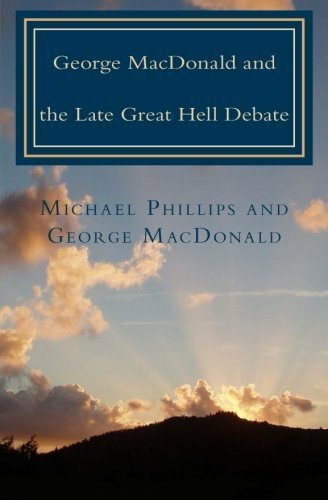 MacDonald’s words on punishment are also full of interest in light of his large vision of the afterlife and the purposefulness of hell. He who refuses must be punished…punished through all the ages—punished until he gives way, yields, and comes to the light…For the man who in this world resists to the full, there may be, perhaps, a whole age or era in the history of the universe during which his sin shall not be forgiven. But never can it be forgiven until he repents…Who knows but such sin may need for this cure the continuous punishment of an aeon? The ending is abrupt. But as I say, this is how the sermon has come to us.